I think most parents would accept that it is important for children to have time to play. In fact, many of us think that it is great for children to have lots of time to play. Things get more complicated when we start to talk about different types of play. When I was a child I spent a lot of time playing outdoors. I climbed trees, mucked around in the backyard, played games of cricket in the street with neighbours and siblings, went exploring in the bush nearby and spent hours playing with friends in the local pool. When indoors I liked to build and to make things. All of these activities were encouraged by my parents and seen as good, healthy forms of play. Flash forward to the lives of my own two children and things look a lot different. They certainly enjoy a lot of play time. They love our backyard trampoline and the swings in the park. They enjoy going swimming and on walks with family and friends and they love to play at friend’s homes. They don’t hang out on the street like I did and they don’t wander the neighbourhood and local bushland on their own. Not because I have told them not to or even discouraged these activities. They just don’t want to. That’s not the main difference though. The main difference between their experience of play and my own is that they love to play video games. Building with Lego had a strong run for many years but video games have triumphed. Playing games on a game console or on their laptops is the first choice of play activity for both of my boys. It is what they most love to do. I am struggling to adjust to this difference. I have come to accept my children’s passion for gaming but I have not yet been able to embrace it fully. It is not yet something that I am able to celebrate. I am still lumbered with a set of beliefs about the value of different forms of play. I still assume that active, independent, non-violent outdoor play is better. There is a hierarchy of play in the back of my mind and video games would have to be close to the bottom of the list. This judgement of gaming is not just in my head. I am bombarded by references to video games as unhealthy, time-wasting, mindless, disturbing, addictive and downright dangerous. I have not been unaffected. One of my aims in writing this article is to try to change this. I want to celebrate what my children love to play. I want to encourage them to follow their passions and enjoy their childhood play in the same way that I enjoyed mine. I have been reflecting on the value of allowing my children to choose their play activities freely and I have been taking a closer look at the wisdom of their choices. I have been asking myself questions; Why are my children so attracted to video games? What are they learning from them? Is there as much difference as I think between my childhood play and theirs? 1. Mastery: Play is about children making sense of their world and making it their own. They explore, try new experiences and learn about their environment and themselves through discovery and practice. Through play children get to develop skills and competence in both their external and internal environment. The confidence they gain through mastery in play can then be translated into other areas of their lives as they mature. Experiencing competence and mastery is its own reward. It is the basis for a healthy self-esteem that will serve a person well in every area of their lives. Children, in all their wonderful diversity, choose to master different aspects of their environment. To build competence and confidence they naturally tend to play to thier strengths. There are so many skills for children to learn. There is language, physical and social skills. There are adult roles to master, feelings to communicate and thinking skills to develop. We learn these skills best in a context that engages us, excites our curiosity and that we find enjoyable. In his book Free to Learn the psychologist and author Peter Grey explores the nature of play and it’s purpose in depth. Play has a vital role to play in education. Humans have an instinctive drive to acquire and build upon the the culture into which they were born and play is one of the main ways that we do this. Grey suggests that children are naturally motivated to play at the skills that lie at the culture’s leading edge – skills that will be of increasing importance in the future. There can be no doubt that in choosing to play video games that children are choosing to master leading-edge technology. They want to explore it and discover its capabilities and potential. They do this with such enthusiasm that they soon leave their parents behind in some aspects of technology use. Through gaming they are choosing to master hardware, software, internet use and in-game technology such as voice, text and video communication; technology that has become essential to the functioning of modern society. There can also be no doubt that many games assist children to learn language skills, problem-solving, negotiation, logical and abstract thinking, planning and strategy, maths, design and constructions skills and to develop co-ordination and reflexes. 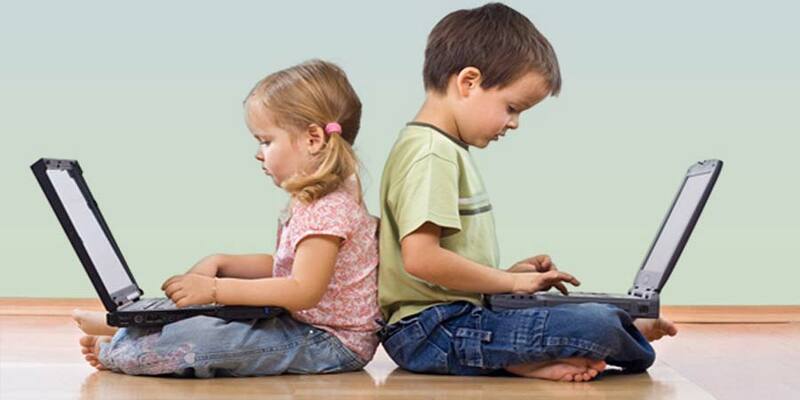 They develop social skills through co-operative play and multiplayer game. They enact roles, try out personalities and explore relationships. They can practice making friends and joining with others in joint enterprises. There is so much variety in gaming these days that there is play that will appeal to almost every child. Of course, the mastery of skills does not stop with the games themselves. Through gaming children are connected to the world around them in countless ways. They master research skills as they search on the internet and in books for solutions to in-game problems, they make links beween game content and real life and discover new subjects to explore and learn about. They acquire knowledge and learn how to learn more. Some children are drawn to dealing with frightening and challenging situations in a virtual context. They can act out the desire to control and conquer others and to survive in what they perceive as a competitive and dangerous environment. They can play at fighting without anyone getting hurt. They can go on quests to rescue those in need of help. They can meet their worst fears and move through and beyond them. Shy children and those that find it difficult to connect with others in large groups or more conventional play settings can use gaming as a way to find and build friendships that may be out of their reach otherwise. The beauty of internet-based gaming technology is that children can now make friends on the other side of the world as well as in their own neighbourhood. They can search out people who share their particular interests, talents and ways of relating no matter how particular those may be. Children, including my own, often like their parents to join in their games. This was a lot easier for me when they were building Lego and jumping on the trampoline! Their skill in playing video games has been impossible for me to keep up with. I have made some effort though, and those efforts are appreciated. At least we all got to have a good laugh as I was blown up by yet another creeper in Minecraft or crashed my car and burst into in flames in one of the racing games. When I make an effort to connect with them in their world and on their terms it brings us so much closer together. 3. To recover from emotional distress: Children use play to release physical or psychological tension. Play is a great way to release pent-up negative energy and to feel better. A child can express feelings that they can’t or don’t want to talk about. Beating a virtual enemy in a video game battle allows you to feel powerful and more in control. I have also observed the way that children use video games to become familiar with difficult feelings and to learn how to deal with them. They get to play around and through feelings of frustration, anger, fear, disappointment and loss. They can work through the feelings that they find most challenging by choosing play that inevitably brings those emotions to the surface. A child who stuggles with emotional regulation and explosions of strong emotion can practice being with these feelings in the relatively safe environment of virtual challenges, fights, losses and mistakes. Using play to feel better is linked to developing feelings of competence; it feels good to be skillful and doing something that you do well. In his wonderful book Playful Parenting Lawrence J. Cohen explores the role of play in emotional healing. He also describes how adults can help children when they get stuck in unhappy play that is isolated, sullen, overly destructive or aggressive. This type of play can be a clear signal that a child needs more connection and some adult help to recover from their emotional distress. Joining a child in their play, being silly and playing the fool, allowing your child to beat you in the game and sharing ideas to help them out of a rut are all ways that adults can help in this type of situation. 4. Build and Create: Play is an opportunity to practice creating. As Peter Grey states, “While curiosity motivates children to seek new knowledge and understanding, playfulness motivates them to practice new skills and use those skills creatively.” Gaming is an exceptional environment for children to practice building and creating. Anybody who has encountered Minecraft can attest to that. 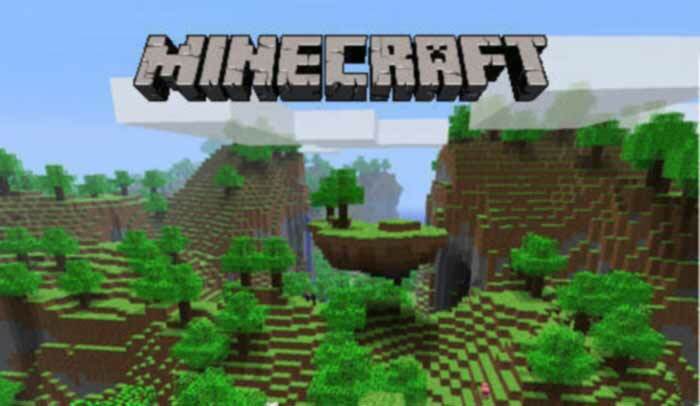 I have seen my children build towns, architectural wonders, electrical circuits, machines, factories and farms using Minecraft. They have created characters, narratives and economic systems. I have also seen them build and manage futuristic cities and societies, design rockets, planes and landscapes and create art and music using other games on their computers. 5. Fun: Well, it is rather obvious really! Play is important because it is fun. Playing and having fun can be also be when children are at their most creative, imaginative and insightful. Gaming provides endless opportunities for fun, creative play. Part of the fun of gaming is also in the challenge. If the game is not at the right level of difficulty it will not be fun. Most video games are designed carefully with this in mind and take a player through ever-more difficult levels as they build up their skills. As Peter Grey says “Children play at the ever-advancing edges of their mental and physical abilities.” They persevere and develop their abilities becasue the game is fun. Gaming makes learning fun and the game is fun because the child is learning. 6. Self-determination and exploration: Last, but certainly not least, play is an expression of freedom. It meets a basic human need. It is about doing what you want to do rather than what someone else thinks you should do. Playing what they want to play is one of the ways that children explore and discover who they are and the unique gifts that they bring to the world. This is one of the main reasons that I let my children follow their interest in playing video games; choosing their own play allows them to exercise their autonomy. They have left me in no doubt as to how important this for them. It feels good to trust my children in this and it has certainly helped to build a strong and peaceful relationship beween us. Play is an activity conducted for its own sake rather than to achieve serious “real world” goals. Because of this it is a great opportunity to explore and to take risks. Children get to test things out and to express themselves in ways that they could never do in real life or have not yet been brave enough to try. Video games provide opportunities to explore in ways that have never before been available to children. On a physical level they can play and explore internationally rather than just with the children in the neighbourhood. They can also play deeply on a moral and spiritual level and at a younger age than perhaps ever before. They can immerse themselves in complex narratives and characters, undertake heroic quests, interact with vast, fantasy environments and explore life’s purpose and their own identity. They can explore themselves and their own inner world. The potential of this technology is mind-boggling. The breadth and depth of the games that are available is awe-inspiring. There is a Universe of play at our children’s fingertips which mirrors the Universe within each of us. Which brings me to the topic that can’t be ignored; that with any form of play there will be risks. If your children play soccer they run the risk of injury or of being yelled by the coach. If your children play with other children in the park they can get hit, pushed or catch the latest illness that is going around. Children fall of bikes and trampolines all the time. It is the same with playing video games; there are risks. Some children get isolated in their play and loose connection with family and friends. Children can get so absorbed in the flow of their play that they neglect food, exercise and other activities. They can get frustrated, aggressive and have tantrums when a game is too hard, is challenging in its content or the technology breaks down. They run the risk of being exposed to frightening or disturbing images and can encounter people online with unsavoury agendas. These risks are not a reasons for me to be fearful of my children playing video games or for me to restrict their play. They are very good reasons for me to stay closely connected with my children and to take an interest in what they are playing. We openly discuss any concerns that I have or problems that they encounter. We find solutions together that we are all happy with or can at least accept. I don’t need to be intrusive about my interest. My children love it when I show an interest in their games and are delighted to let me in to their world, provided that I come with an open mind and a willingness to understand and accept their interests. If I approach their play with judgement and a desire to control them, they close down the communication and shut me out. This is when the risks are highest. The more involved and supportive I am, the safer the play. Perhaps my children’s play is not so different to my childhood activities as I once thought. The technology is different and they spend more time indoors than I did. But the purposes of their play are the same. They are learning, exploring and having fun, just as I did as a child. And they still enjoy playing in the local pool, mucking about outdoors with friends and kicking a ball in the park. I can relax and celebrate the wisdom of All their play. This is brilliant Freya! I enjoyed reading this a lot. 🙂 Don’t I know the feeling. I just posted a 6 part series, I think you will appreciate what we did! Thnx for your post, I enjoyed! Thanks all for you comments. I will certainly have alook at your series Playologist Mum.